Current: Up to 5V /2.4A recharge in safety. Supports fast charging, fast charging function triggers when the phone's battery is less than 80%. 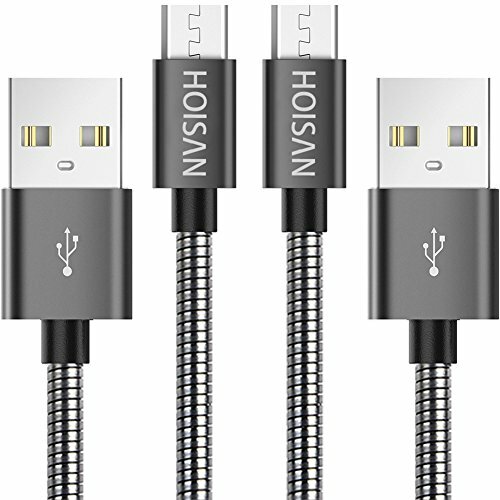 The purchase includes a lifetime warranty provided by HOISAN. The cable should not have any operating problems but on rare occasions if this is the case, you are covered by the lifetime warranty. Fast and easy-to-reach customer service to solve your problems in 24 hours. If you have any questions about this product by HOISAN, contact us by completing and submitting the form below. If you are looking for a specif part number, please include it with your message.